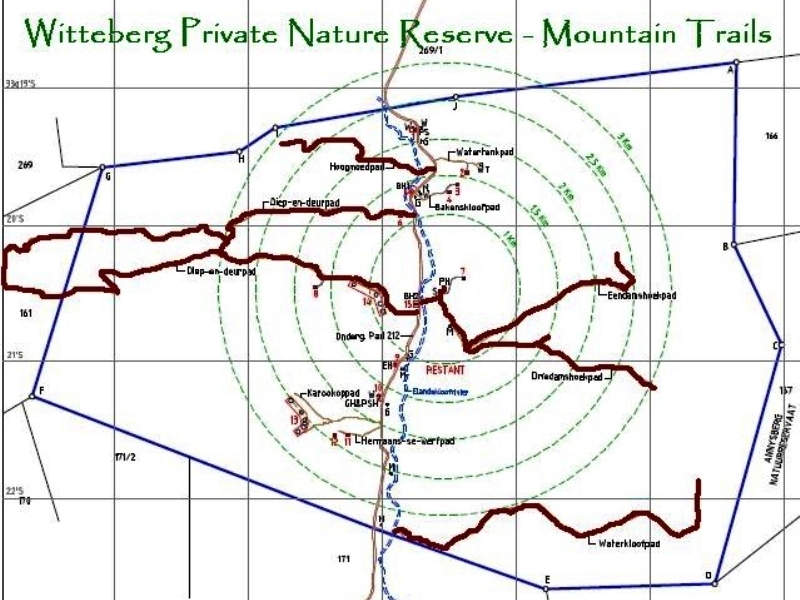 A network of 4×4 mountain trails, covering about 44 km, provide access to all corners of the reserve. All the trails were originally constructed for flower harvesting purposes. 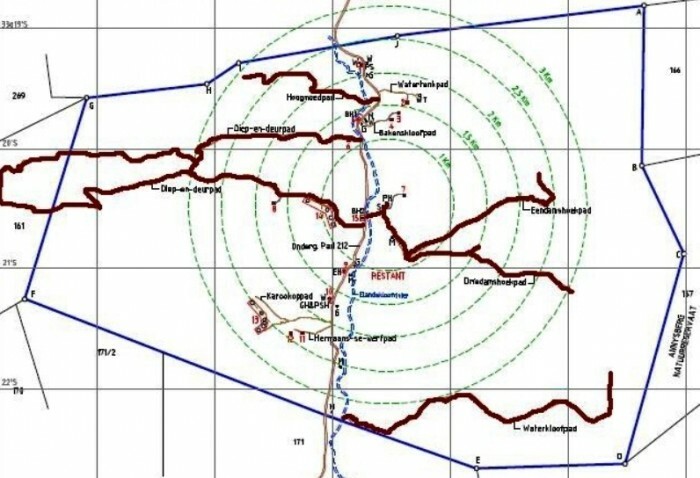 As such, the focus was on accessibility to the best flower harvesting areas and not on eco-friendly trail construction techniques and erosion avoidance. The main purpose of the trails at present is to provide access to the fynbos of the Witteberg and to some remote heritage sites. Although there are no specific obstacles along the trails, there are many areas where care must be taken by the driver. Vehicles must also be in good condition, both mechanically and electronically. There are several very active aardvark in the reserve, so always be on the lookout for aardvark burrows in – or on the sides – of the trails. When the ground is very wet, some muddy sections along some of the trails make them risky and the trails are then closed.